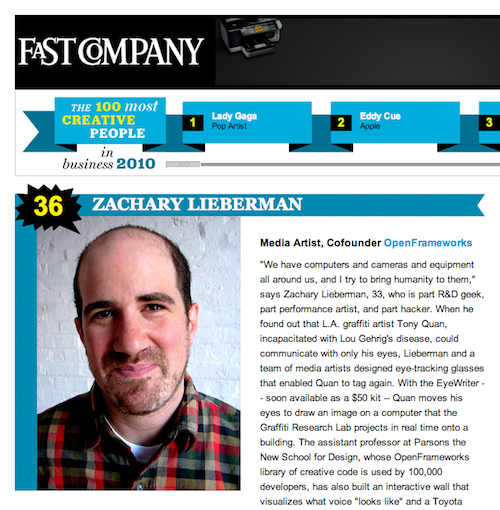 I was honored to be included on Fast Company’s most creative people in business list, announced this month. I came in at #36, just before Jamie Oliver. Powered by WordPress. Built by Allan Cole using the Thematic Theme Framework. Login.